Air Force Capt. 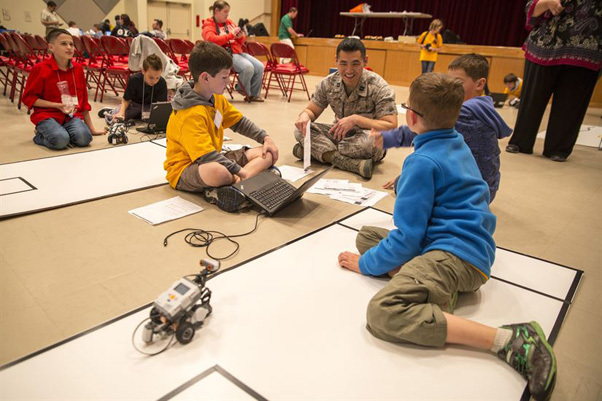 Michael K. Kan, center right, a bioenvironmental engineer, talks with robotics club students at the Camp Foster Community Center at Okinawa, Japan, during the first robotics competition sponsored by Department of Defense Education Activity Okinawa District. WASHINGTON — The Defense Department knows that the whole family serves when a military member serves. April is the Month of the Military Child, a time to highlight the contributions and sacrifices made by military children. 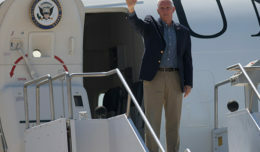 It’s also a chance to catch up on what the department does for military families. As a group, military children are a resilient bunch, said Barbara A. Thompson, the director of DoD’s Office of Family Readiness Policy. Military children need to be resilient, Thompson said. 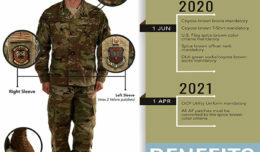 Active-duty military personnel move an average of once every two to three years, according to DoD statistics. And they don’t just move to the next town. Military families are more likely to move long distances and to foreign countries. 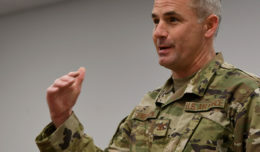 This can be relatively easy on the close confines of an installation, but for families who reside away from a military base — especially for children of those in the reserve and National Guard components — this may be more of a challenge, Thompson said. School administrators, teachers, clergy and social services personnel must understand the special circumstances that military children may find themselves in and know where to go for resources. But babies and toddlers aren’t the only focus, officials said. There are about 300 youth and teen centers worldwide serving more than 645,000 youth through a variety of educational and recreational programs. In the past year, about 2,700 military youth participated in camp programs at little or no out-of-pocket expense. — MilitaryOneSource is what is sounds like — the one place to go to for information. A Military Youth on the Move section offers information for children who are preparing to move to a new home or dealing with the aftereffects of a recent move. –http://www.Militarykidsconnect.org is a site where military children can connect with other children who are facing similar challenges. There are also tips for parents and teachers. — The Military Child Education Coalition is a non-profit organization focused on the academic and emotional needs of military children in public schools. They offer a variety of programs and resources for students and parents.